Complete 90 hours of real estate education in courses approved by the Louisiana Real Estate Commission. Take a pre-license course from a reputable school that is certified by the Louisiana Real Estate Commission. Generally, both day and evening classes are offered. Some schools offer on line courses. Contact us for ACG Realty’s recommendation. Real Estate sales provide an opportunity to run your own business with a minimum amount of up front cost. The idea of flexible hours can be a huge incentive, plus most people like the idea of not having a limit placed on the amount of income they can earn. 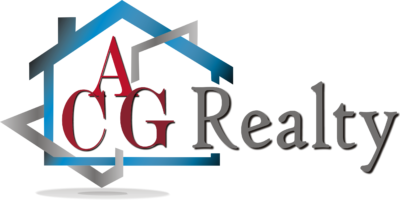 The first step is to set up an appointment discuss the many benefits of being associated with ACG Realty. Our Manager will be happy to answer any questions you may have, show you the branch office, and work with you to determine how you can embark on a successful real estate career. Real estate classes offered by local real estate schools, certified by the State of Louisiana, are varied in format, from all-day to nights, part time to full time. Some even offer on-line classes to allow students to work at their leisure. The amount of time depends on the number or hours you can spend each day to complete the required hours. Generally, the process takes from four to twelve weeks. Once you have taken the exam, and ACG Realty processes all of the necessary paperwork to the Real Estate Commission, you should receive your license within a short time. Highs and lows are part of any sales career—some months will be higher producing then others; consistency over time will be the key to your success. Remember the first commission check may not come for a couple of months because real estate sales are paid on a commission basis and it takes time to establish and build a customer and client base for your business. So it really depends on you and how much time you devote to developing your business. Your objective in this business is to assist people through the process of buying or selling homes. Your business can come from people you already know or from complete strangers. At ACG Realty you will be trained in all aspects of prospecting and sales and will be able to create a course that will be long lasting. You will learn what tools to use to enhance your business performance. We estimate the start-up cost to be approximately $1,500. Some of these expenses include your tuition, your real estate license, membership dues in the local, state and National Association of Realtors, errors and omission insurance, etc. Our manager will elaborate on what fees are due and when. Because ACG Realty has branch offices throughout the Louisiana it allows our agents to list and sell in any area they so choose. Have more questions? Visit with our Sales Manager, they’ll be happy to answer any questions you have.